SRA International has named William Ballhaus as its new CEO. Previously, Ballhaus served as president and CEO at DynCorp from May 2008 until August 2010. 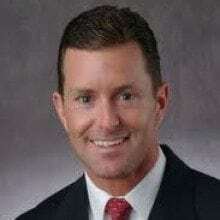 Ballhaus has also served as the president of BAE Systems network systems, national security solutions and mission solutions businesses. “This is an exciting time for our company, and we all look forward to working with Bill as we pursue the significant opportunities ahead,” said Ernest Volgenau, founder of SRA. Volgenau also remains the chairman of the board under the majority ownership of Providence Equity Partners, which closed a $1.9 billion deal with SRA earlier this week. Ballhaus holds master’s and doctorate degrees in aeronautic from Stanford University along with a master’s degree in business administration from the Anderson Graduate School of Management at UCLA. Ballhaus’ previous position had been acquired by Stanton Sloane, who joined the SRA from Lockheed Martin Corp. as its executive vice president of the company’s Integrated Systems and Solutions division. Sloane originally started his career with General Electric Aerospace in 1984 and also served for the U.S. Navy. Stanton left SRA to pursue other interests. “We thank Stan for his many valuable contributions to SRA over the last four years and wish him the best in his future endeavors,” Volgenau said. SRA’s revenue grew from $1.3 billion in 2007 to $1.7 billion in 2010 under Sloane. Although the company hasn’t made public its 2011 results, the first nine months of the fiscal 2011 year, revenue has surpassed $1.3 billion. William Ballhaus Named Chairman, President and CEO of Blackboard Inc.